AUD 2,333 Excl. Duties / Taxes. This Marquise diamond is 0.64 carat in weight, and comes with Good polish and Fair symmetry, as verified from an independent gemological laboratory. The diamond is graded I in colour, and has a clarity grade of VS2. The diamond's GIA grading report number is 5202085025, which will detail further its specifications and measurements, and will also come with the purchase of the stone. AUD 26,271 Excl. Duties / Taxes. This Marquise diamond is 2.03 carat in weight, and comes with Good polish and Good symmetry, as verified from an independent gemological laboratory. The diamond is graded D in colour, and has a clarity grade of SI2. The diamond's GIA grading report number is 1196050152, which will detail further its specifications and measurements, and will also come with the purchase of the stone. This Marquise diamond is 1.5 carat in weight, and comes with Good polish and Good symmetry, as verified from an independent gemological laboratory. The diamond is graded I in colour, and has a clarity grade of VS2. The diamond's GIA grading report number is 10115129, which will detail further its specifications and measurements, and will also come with the purchase of the stone. AUD 2,794 Excl. Duties / Taxes. This Marquise diamond is 0.8 carat in weight, and comes with Very Good polish and Fair symmetry, as verified from an independent gemological laboratory. The diamond is graded H in colour, and has a clarity grade of SI1. The diamond's GIA grading report number is 2191998230, which will detail further its specifications and measurements, and will also come with the purchase of the stone. AUD 6,409 Excl. Duties / Taxes. This Marquise diamond is 1.09 carat in weight, and comes with Very Good polish and Very Good symmetry, as verified from an independent gemological laboratory. The diamond is graded E in colour, and has a clarity grade of SI2. The diamond's GIA grading report number is 6147309580, which will detail further its specifications and measurements, and will also come with the purchase of the stone. This Marquise diamond is 1.02 carat in weight, and comes with Very Good polish and Good symmetry, as verified from an independent gemological laboratory. The diamond is graded I in colour, and has a clarity grade of VS2. The diamond's GIA grading report number is 1156837411, which will detail further its specifications and measurements, and will also come with the purchase of the stone. AUD 5,745 Excl. Duties / Taxes. This Marquise diamond is 1.08 carat in weight, and comes with Very Good polish and Very Good symmetry, as verified from an independent gemological laboratory. The diamond is graded E in colour, and has a clarity grade of SI2. The diamond's GIA grading report number is 2161480378, which will detail further its specifications and measurements, and will also come with the purchase of the stone. This Marquise diamond is 1.35 carat in weight, and comes with Very Good polish and Good symmetry, as verified from an independent gemological laboratory. The diamond is graded K in colour, and has a clarity grade of VS1. The diamond's GIA grading report number is 1172976451, which will detail further its specifications and measurements, and will also come with the purchase of the stone. AUD 3,527 Excl. Duties / Taxes. This Marquise diamond is 0.7 carat in weight, and comes with Very Good polish and Good symmetry, as verified from an independent gemological laboratory. The diamond is graded H in colour, and has a clarity grade of VS2. The diamond's GIA grading report number is 1172448884, which will detail further its specifications and measurements, and will also come with the purchase of the stone. This Marquise diamond is 1.5 carat in weight, and comes with Excellent polish and Very Good symmetry, as verified from an independent gemological laboratory. The diamond is graded F in colour, and has a clarity grade of VS2. The diamond's GIA grading report number is 5131558650, which will detail further its specifications and measurements, and will also come with the purchase of the stone. AUD 6,107 Excl. Duties / Taxes. This Marquise diamond is 0.93 carat in weight, and comes with Good polish and Good symmetry, as verified from an independent gemological laboratory. The diamond is graded D in colour, and has a clarity grade of VS1. The diamond's GIA grading report number is 6147404453, which will detail further its specifications and measurements, and will also come with the purchase of the stone. This Marquise diamond is 0.43 carat in weight, and comes with Very Good polish and Good symmetry, as verified from an independent gemological laboratory. The diamond is graded J in colour, and has a clarity grade of SI1. The diamond's GIA grading report number is 1182117137, which will detail further its specifications and measurements, and will also come with the purchase of the stone. This Marquise diamond is 0.59 carat in weight, and comes with Very Good polish and Very Good symmetry, as verified from an independent gemological laboratory. The diamond is graded L in colour, and has a clarity grade of VS1. The diamond's IGI grading report number is S3G28466, which will detail further its specifications and measurements, and will also come with the purchase of the stone. AUD 2,202 Excl. Duties / Taxes. This Marquise diamond is 0.62 carat in weight, and comes with Good polish and Good symmetry, as verified from an independent gemological laboratory. The diamond is graded G in colour, and has a clarity grade of SI1. The diamond's GIA grading report number is 6183220924, which will detail further its specifications and measurements, and will also come with the purchase of the stone. AUD 5,958 Excl. Duties / Taxes. This Marquise diamond is 0.97 carat in weight, and comes with Very Good polish and Very Good symmetry, as verified from an independent gemological laboratory. The diamond is graded D in colour, and has a clarity grade of VS1. The diamond's GIA grading report number is 5323238137, which will detail further its specifications and measurements, and will also come with the purchase of the stone. AUD 9,516 Excl. Duties / Taxes. This Marquise diamond is 1.32 carat in weight, and comes with Very Good polish and Very Good symmetry, as verified from an independent gemological laboratory. The diamond is graded D in colour, and has a clarity grade of SI2. The diamond's GIA grading report number is 2151131269, which will detail further its specifications and measurements, and will also come with the purchase of the stone. AUD 4,545 Excl. Duties / Taxes. This Marquise diamond is 0.89 carat in weight, and comes with Good polish and Good symmetry, as verified from an independent gemological laboratory. The diamond is graded G in colour, and has a clarity grade of VS1. The diamond's GIA grading report number is 2205197698, which will detail further its specifications and measurements, and will also come with the purchase of the stone. AUD 1,04,746 Excl. Duties / Taxes. This Marquise diamond is 3 carat in weight, and comes with Very Good polish and Good symmetry, as verified from an independent gemological laboratory. The diamond is graded D in colour, and has a clarity grade of VVS1. The diamond's GIA grading report number is 2141798191, which will detail further its specifications and measurements, and will also come with the purchase of the stone. AUD 47,407 Excl. Duties / Taxes. This Marquise diamond is 2.67 carat in weight, and comes with Very Good polish and Good symmetry, as verified from an independent gemological laboratory. The diamond is graded G in colour, and has a clarity grade of VVS1. The diamond's GIA grading report number is 10657106, which will detail further its specifications and measurements, and will also come with the purchase of the stone. AUD 8,203 Excl. Duties / Taxes. This Marquise diamond is 1.01 carat in weight, and comes with Good polish and Good symmetry, as verified from an independent gemological laboratory. The diamond is graded E in colour, and has a clarity grade of VS1. The diamond's GIA grading report number is 1132313235, which will detail further its specifications and measurements, and will also come with the purchase of the stone. AUD 36,092 Excl. Duties / Taxes. This Marquise diamond is 2.25 carat in weight, and comes with Very Good polish and Good symmetry, as verified from an independent gemological laboratory. The diamond is graded D in colour, and has a clarity grade of VVS1. The diamond's GIA grading report number is 13800071, which will detail further its specifications and measurements, and will also come with the purchase of the stone. AUD 1,435 Excl. Duties / Taxes. This Marquise diamond is 0.59 carat in weight, and comes with Good polish and Fair symmetry, as verified from an independent gemological laboratory. The diamond is graded F in colour, and has a clarity grade of SI2. The diamond's GIA grading report number is 2191355628, which will detail further its specifications and measurements, and will also come with the purchase of the stone. AUD 1,13,040 Excl. Duties / Taxes. This Marquise diamond is 4.37 carat in weight, and comes with Good polish and Good symmetry, as verified from an independent gemological laboratory. The diamond is graded H in colour, and has a clarity grade of VVS2. The diamond's GIA grading report number is 6193435758, which will detail further its specifications and measurements, and will also come with the purchase of the stone. AUD 7,694 Excl. Duties / Taxes. This Marquise diamond is 1.1 carat in weight, and comes with Very Good polish and Fair symmetry, as verified from an independent gemological laboratory. The diamond is graded G in colour, and has a clarity grade of VS2. The diamond's GIA grading report number is 2195436793, which will detail further its specifications and measurements, and will also come with the purchase of the stone. AUD 51,686 Excl. Duties / Taxes. This Marquise diamond is 3.34 carat in weight, and comes with Good polish and Good symmetry, as verified from an independent gemological laboratory. The diamond is graded I in colour, and has a clarity grade of VVS2. The diamond's GIA grading report number is 2141625899, which will detail further its specifications and measurements, and will also come with the purchase of the stone. 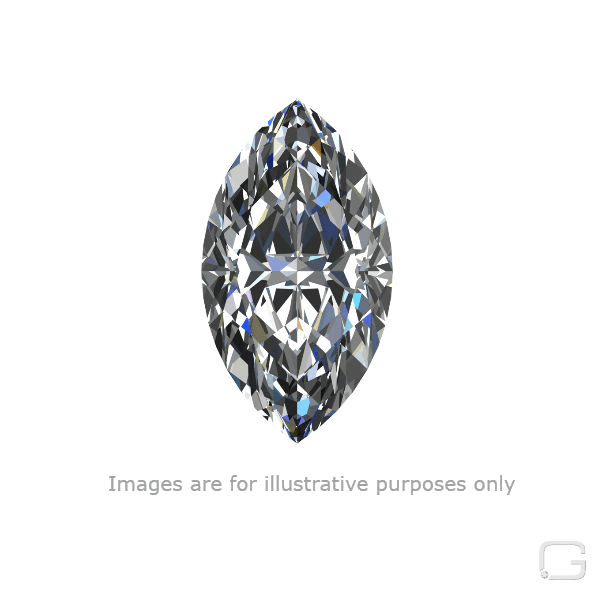 This Marquise diamond is 1.11 carat in weight, and comes with Good polish and Good symmetry, as verified from an independent gemological laboratory. The diamond is graded H in colour, and has a clarity grade of VS1. The diamond's GIA grading report number is 6197120147, which will detail further its specifications and measurements, and will also come with the purchase of the stone. This Marquise diamond is 0.9 carat in weight, and comes with Very Good polish and Good symmetry, as verified from an independent gemological laboratory. The diamond is graded D in colour, and has a clarity grade of SI2. The diamond's GIA grading report number is 6187059448, which will detail further its specifications and measurements, and will also come with the purchase of the stone. This Marquise diamond is 0.8 carat in weight, and comes with Good polish and Good symmetry, as verified from an independent gemological laboratory. The diamond is graded D in colour, and has a clarity grade of SI1. The diamond's GIA grading report number is 1196617051, which will detail further its specifications and measurements, and will also come with the purchase of the stone. AUD 34,436 Excl. Duties / Taxes. This Marquise diamond is 2.52 carat in weight, and comes with Very Good polish and Very Good symmetry, as verified from an independent gemological laboratory. The diamond is graded H in colour, and has a clarity grade of VVS1. The diamond's GIA grading report number is 2125384273, which will detail further its specifications and measurements, and will also come with the purchase of the stone.